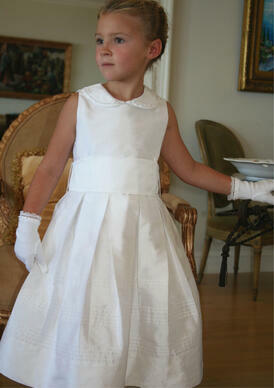 Celebrating a First Holy Communion is an important and meaningful ceremony in the life of a Catholic child. 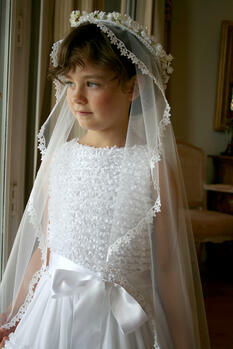 When a girl has her first communion, the dress she will wear becomes a beautiful reflection of purity. 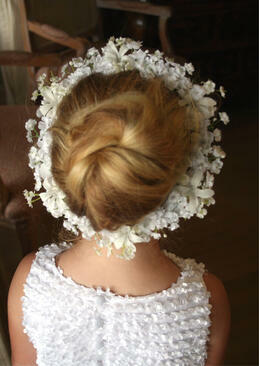 It is meant to be special, elegant, and like the event she is about to experience, unforgettable. 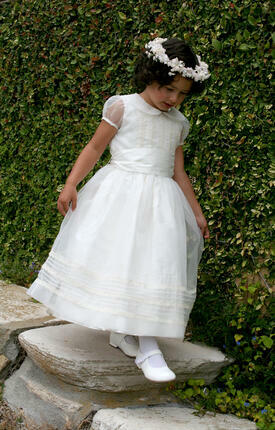 These are the qualities in every dress designed for First Communion at Isabel Garretón. 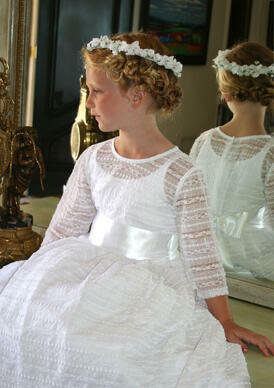 We know that the communion dress is the dress she will look forward to wearing more than any before. 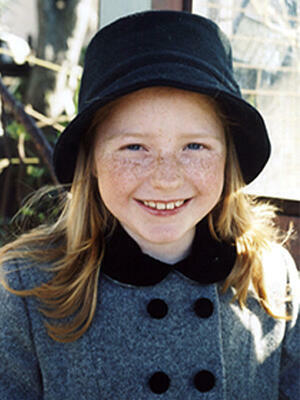 It is attached to the family’s beliefs, what they cherish and value. 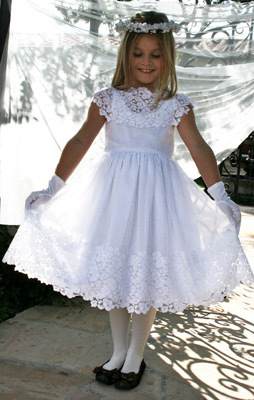 It is the dress she will not want to take off, the dress that will remain in the collective memory in many pictures of the family, the pictures this little girl’s children will look at when they grow up. 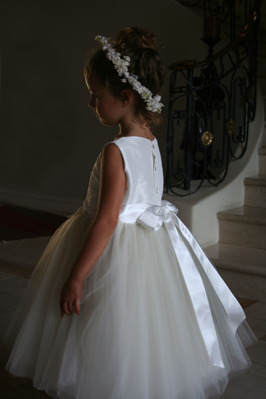 Designing for such a memorable moment in so many people’s lives gives the Communion Collection a place all of its own when making decisions on fabrics, details, embellishments… The 2015 Collection includes new Communion Dress styles and some that have been part of the collection before and remain Communion favorites. 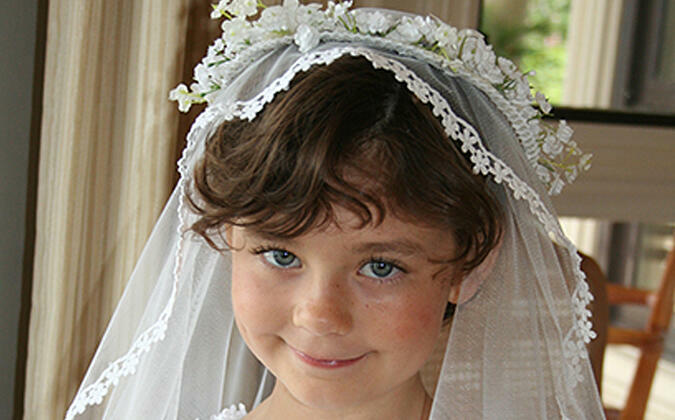 At the request of customers, over the years we have been adding coordinated handmade keepsake communion accessories, including veils, floral halos, gloves, and handbags that will complete the special look that day requires. Every dress made by Isabel Garretón has afforded the women constructing them, embroidering them and sewing them a dignified work opportunity they might not have had otherwise. 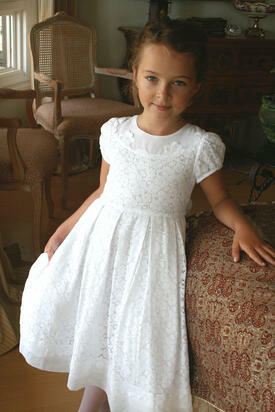 Something we trust will make every Communion girl wearing one of our dresses feel good. 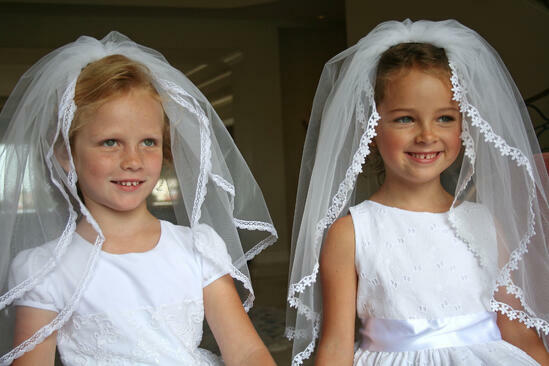 Here are a few Communion dresses that we hope will take your breath away when you see your daughter making her way down the center aisle of the church. 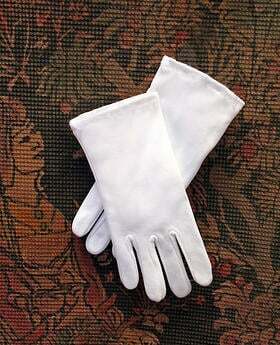 These are some of the accessories that complete the Communion Dress, creating a portrait to be remembered. It's FUN to Hear from You! 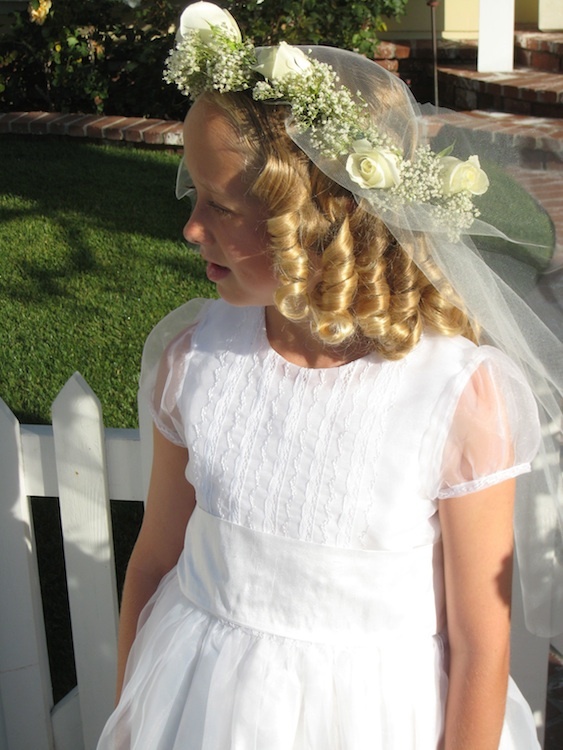 Lisa's daughter's First Communion! Over our 25+ years many wonderful people have come our way. 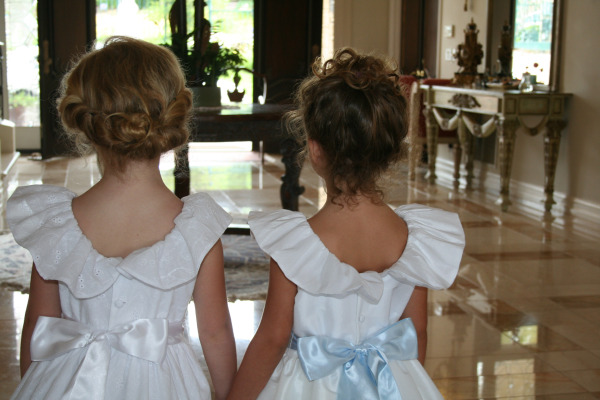 We enter their lives with our careful craft and unique designs, dropping a memory in their lives and when you take a momnet to share, you drop one in ours. 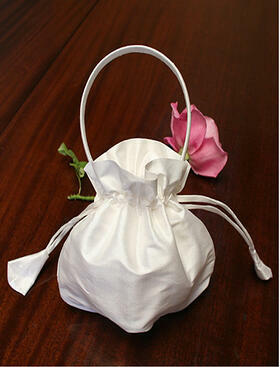 Gratitude is a powerful gesture and we thoroughly appreciate it. Thank you, Lisa. 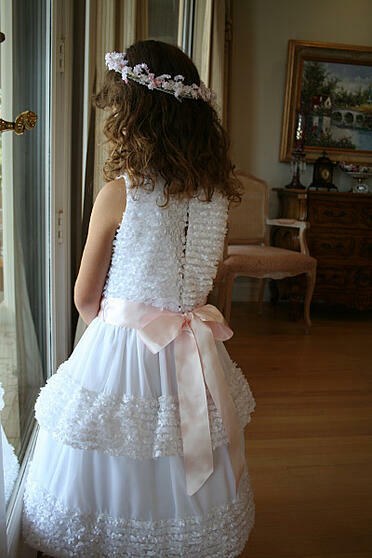 Although it has already been a year, I wanted to write and thank you for making the only dress my daughter wanted for her first communion. 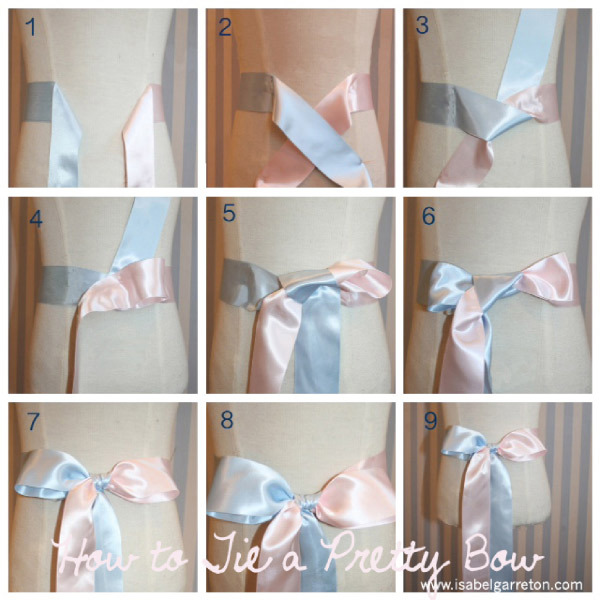 She loved it and it made her long awaited day very special! 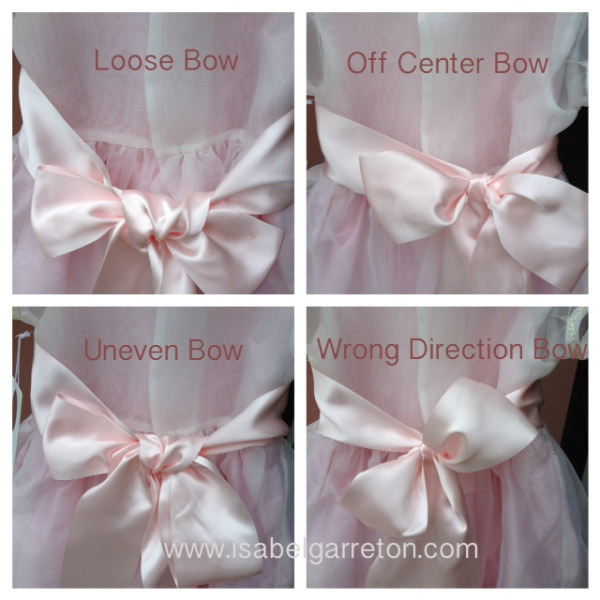 I wanted to share some of her photos with you as you graciously made changes to the dress at my daughters request. 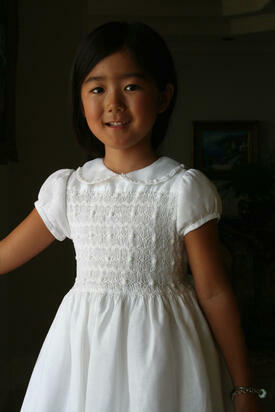 My youngest child already has her communion dress picked out, The Melody dress! 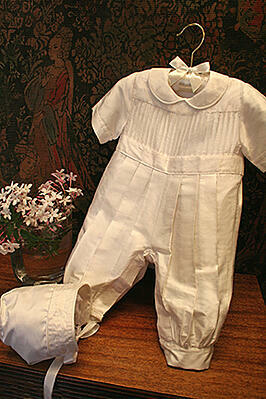 Hopefully it will be available when she she makes her communion. 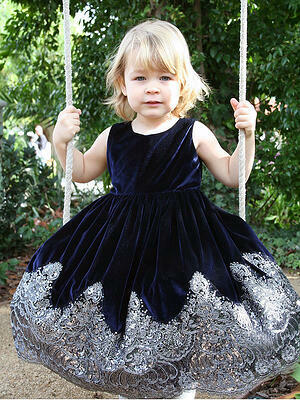 Thank you for making such lovely dresses.